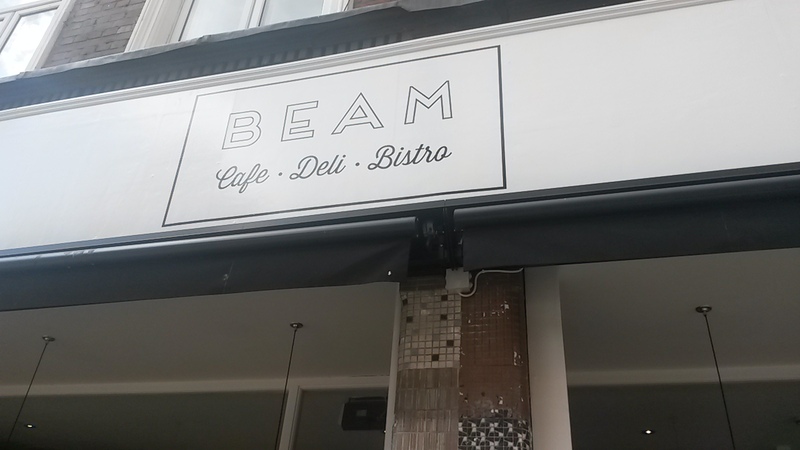 The most recent addition to Crouch End’s nearly saturated café scene is Beam. 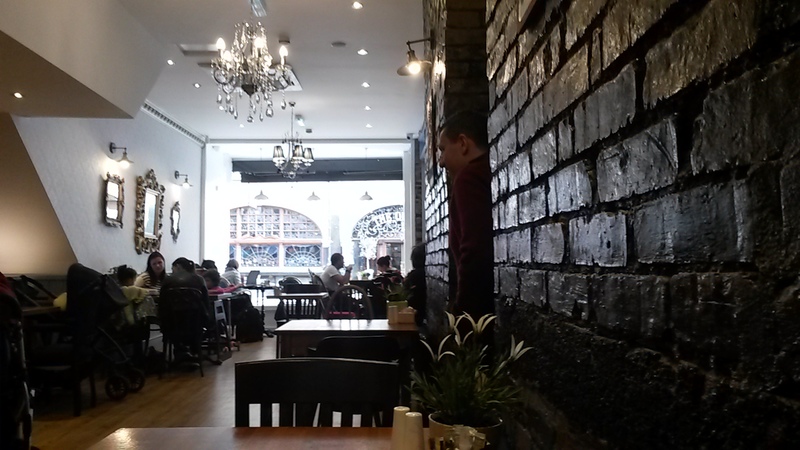 Housed in the former Blockbuster Video store, this is probably the biggest café in the area – though that doesn’t mean it’s not heaving come lunch time. It’s a family run establishment and is just one of a number of new additions to that end of Crouch End around the new cinema. 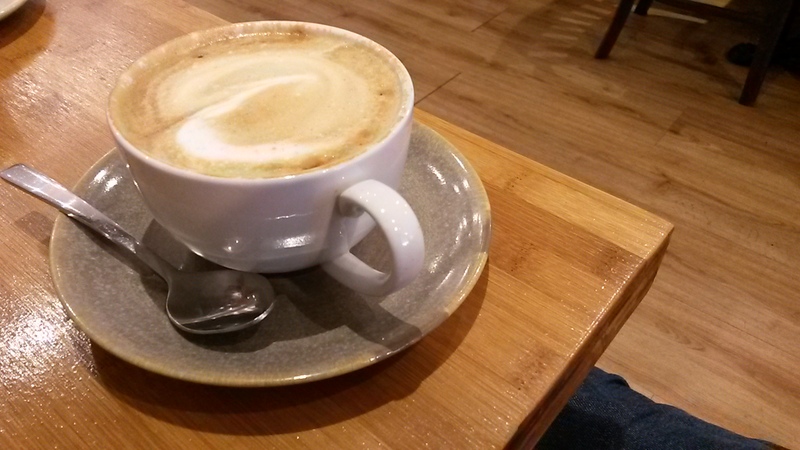 Using Allpress, which roasts its coffee from its premises just off Brick Lane, the cappuccino has a good kick to it. Creamy with a thick, dense foam, it has smooth nutty flavours without much acidity. A very easy drinking cup and at £2.20 a very good price. While it’s large and accommodating, it lacks a bit of atmosphere. The décor is trying too hard to be classy and only just manages it. However, there’s room for everyone and it has a few comfy arm chairs near the huge pictures windows and even a few outdoor seats on its front porch. A bit more personality and a few more armchairs could make this a really nice place. A great selection of hot food like burgers, sandwiches and breakfasts make this a good place to eat as well as sup. There’s also the odd Eastern European/Med dishes thrown in. Moussaka, Beef Kofta and Butternut Squash and Feta Salad stand out. When it’s quiet, the service gets full-marks Fast, efficient and very friendly – it truly has a family feel. However, when it gets busy the table service does get a bit overwhelmed. Though they are apologetic about it. Currently, not much going on. The usual art for sale but considering how much other cafes do in the community, I expected more. Still, it’s just opened so maybe they have grand plans. I get the feeling that there are a few teething problems here but it has the potential to become a great addition to the Crouch End café scene. It’s clearly very popular so I expect it to be around for a long while.